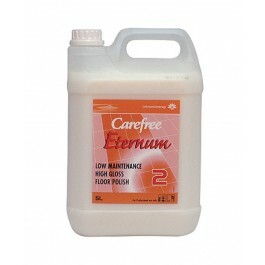 Carefree Eternum is a low maintenance high gloss floor polish, featuring high durability, for use on all floor types. Carefree Eternum's triple-polymer technology provides the hardest, most durable, most scratch and dirt resistant polish film available, with a clear, diamond like gloss finish to satisfy the highest standards. 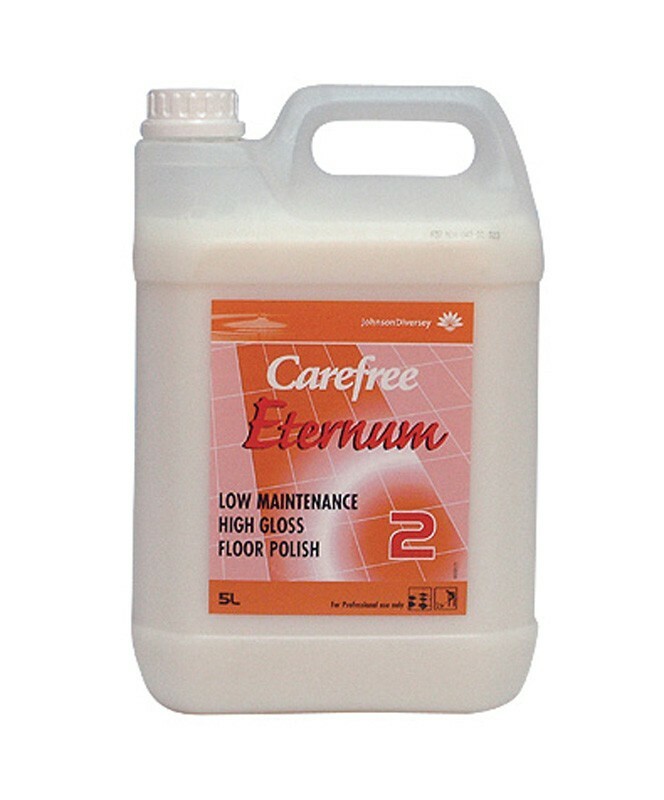 Carefree Eternum can reduce maintenance time by up to 50%, when compare to other floor polishes available on the market. Extremely hard wearing floor polish. Suitable for use on all floor types. Full range of Carefree floor products available from stock. Strip any old emulsion polish from the floor using a floor polish stripper. Apply a thin even coat of Carefree Eternum using a clean mop or polish applicator. Allow to dry thoroughly (typically 20-30 minutes), before applying a second coat. If a higher gloss is required, apply subsequent coats in the same manner. Always sweep and damp mop floors daily to maintain the polish.